Teeth Whitening can make your smile sparkle! Teeth whitening is one of the fastest and most common dental procedures performed. There are many options when it comes to teeth whitening. In the Palm Beach Gardens area you can find many tooth whitening products on the shelf that promise whiter teeth with their use. These are marginally effective in general and require consistent use to maintain any improvement received. At-home tooth whitening products offered by a dental professional provide better results than off-the-shelf products. Juno Beach cosmetic dentist Dr. Brion Weinberg offers the Zoom! take-home teeth whitening system that provides an average of six shades whiter teeth after three applications. Learn more about the Zoom! take-home teeth whitening system. The most effective solution is professional teeth whitening. 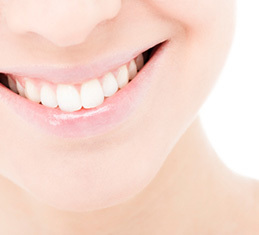 In the Jupiter area, Dr. Weinberg offers professional, in-office tooth whitening. In about an hour, you can walk out of our Juno Beach cosmetic dentistry office with what can look like an entirely new smile with your brighter, whiter teeth. We use the in-office Zoom! system to give a professional, long lasting result. Learn more about the Zoom! in-office professional teeth whitening system. At Weinberg Dentistry near Palm Beach Gardens and Jupiter, FL, Dr. Brion Weinberg can offer at-home tooth whitening trays or perform in-office professional teeth whitening. You can decide which one to use based on your time frame and degree of tooth whitening desired. Call us today or fill out the form on this page and we can contact you to set a teeth whitening appointment. Improve your smile today!